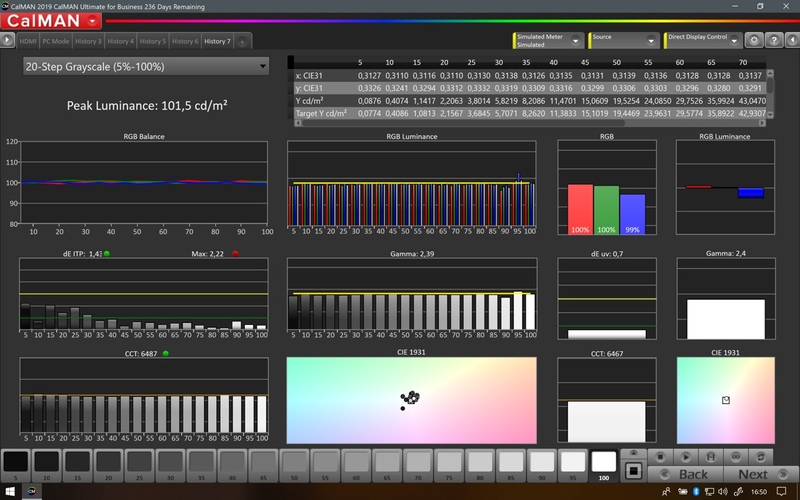 Yes, Calman only for verification, LS for measurements + luts generation and DCC with LG template to upload luts to the tv. There is a new videoscale filter which has been added for LG's 2018 1D/3D LUT, to the LightSpace Beta. Using that filter, you can use 16-235 patch generation with CR85....and videoscale each 1D and 3D LUT's with that new filter before exporting to DeviceControl LG format. 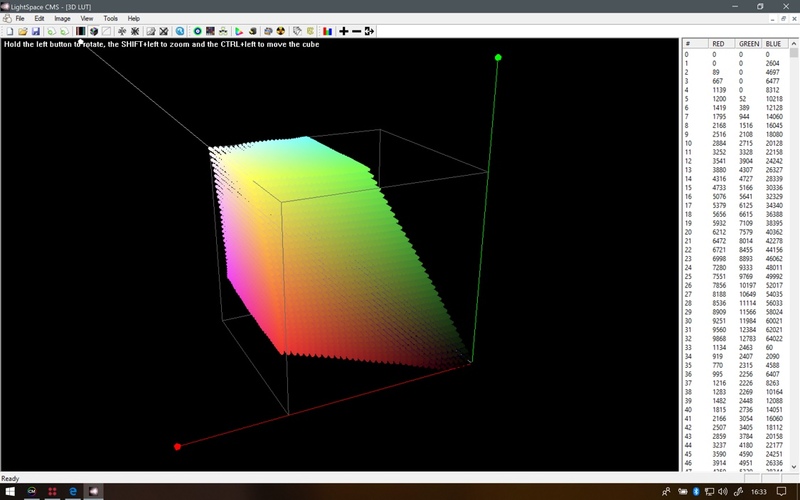 That filter called 'VideoScale Sub Black', which re-scales the 100% White from 255, to 235. 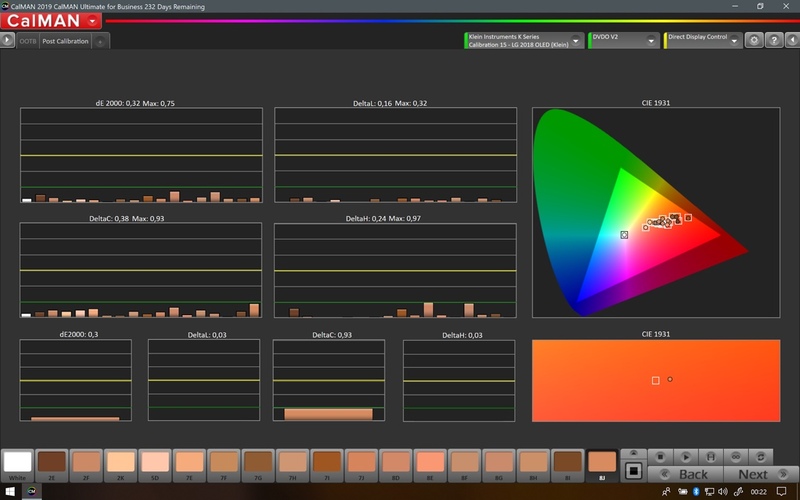 Its for LG only that filter, because internal LG LUT tables are 0-255 (0-1023). The correct TV setting (as internally designed) is to have CR100 when you will send 16-235 patterns (because internal LUT is 0-1023 with the video black '64' mapped to '0' of the LUT) so when you have CR100... the 940 expanded to 1023. 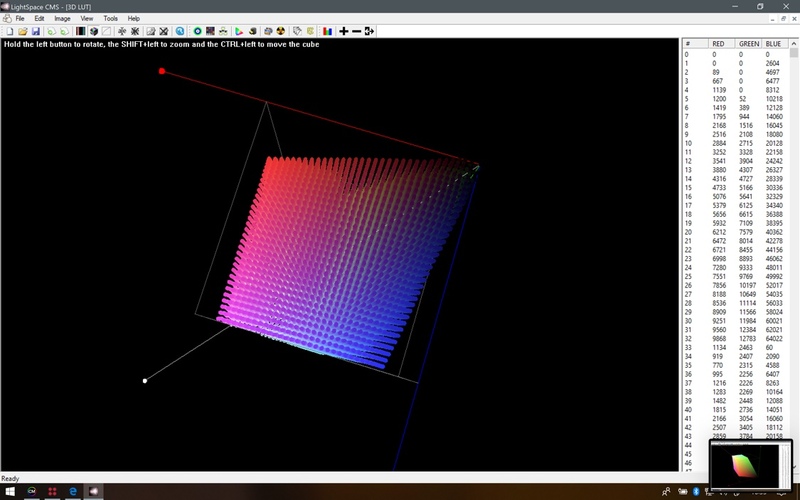 With the new filter, the 940 will stay to 940 and from 940 until 1023 it will be interpolated, when you will measure with 16-235 patterns with CR85 setting. Ted, are all 3 of these 'ways' equivalent in terms of accuracy and precision, or is one of them a bit better than the others (higher peak brightness, lower dEs, whatever...). All these options are available for users with various pattern generations, so they choose according to their patch generation levels they will use. 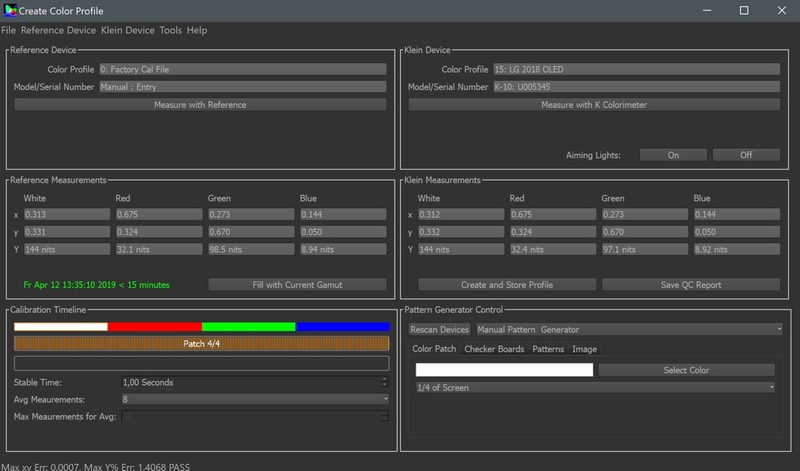 For PGenerator (Raspberry Pi based) users, they can do RGB-Video 16-235 or RGB-Video Extended 16-255. 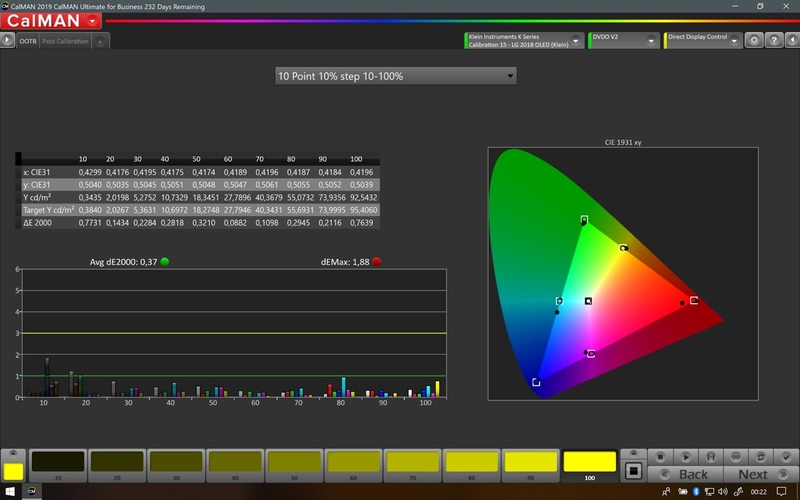 If you have DVDO/Murideo/Accupel, you can do RGB-Video / RGB-Video Extended or YCbCr 4:4:4/4:2:2 (so 16-235). 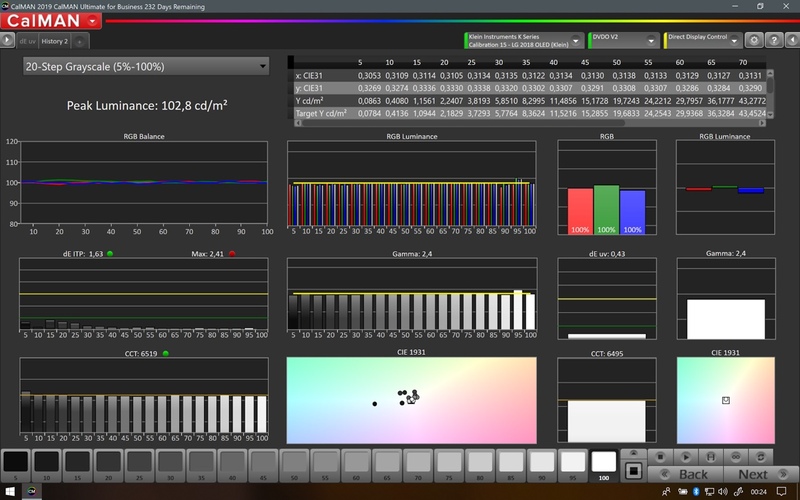 If you are using MadVR, you can do RGB 16-235 patch generation. And the final results using any of the above options would be identical, right? 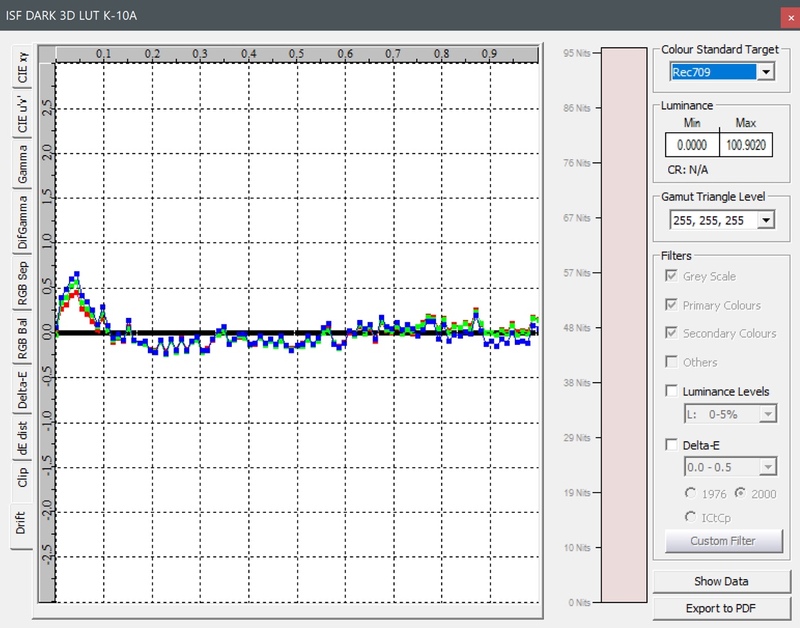 As far as I know and understand, it’s better to profile at CR85, because profiling at CR100 and then going back to CR85 when finished will give some gamma issue. 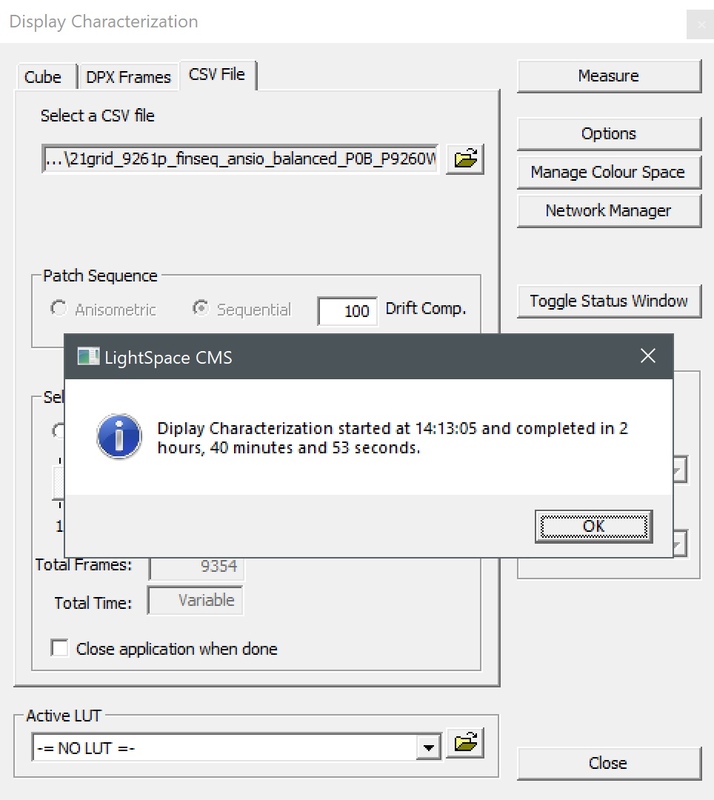 After further testing, restoring back CR85 after profiling using CR100 is not required, since its been added to LightSpace the VideoScale Sub Black Filter, so you always keep the same CR setting after profiling also. Its up to the user if he will profile with CR100 or CR85. fafrd and Anger.miki like this. I also find the sweet spot with my actual setup. Until my new gear arrives I can enjoy some movies now. We did a bunch of tests with a lot of different settings so everyone who didn't want to waste some time can use my settings as a guideline such as the one from sat4all. I used also the new Sub Black Filter for all my converting in LS. fafrd, chunon, dlj11 and 6 others like this. Last edited by BlackJoker; 04-08-2019 at 11:45 PM. I reprofiled my C8 with a K-10 A which I profiled against an i1Pro2. 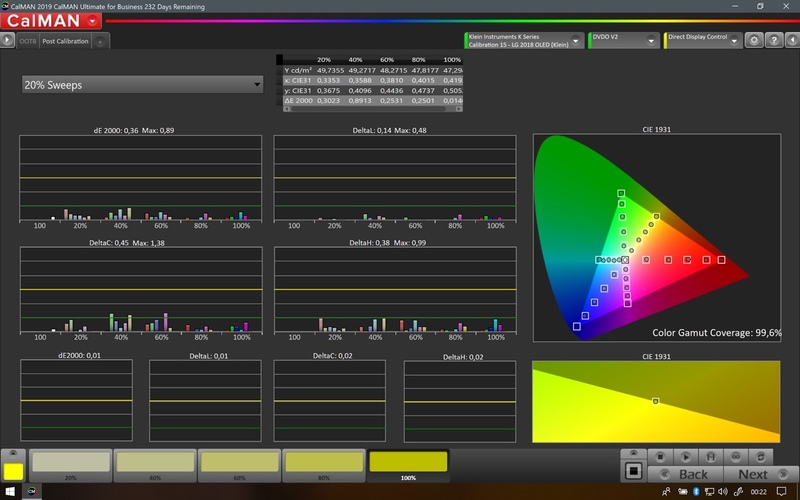 It was the first time with my OLED that I was able to overcome the red luminance issue during the FCCM creation. 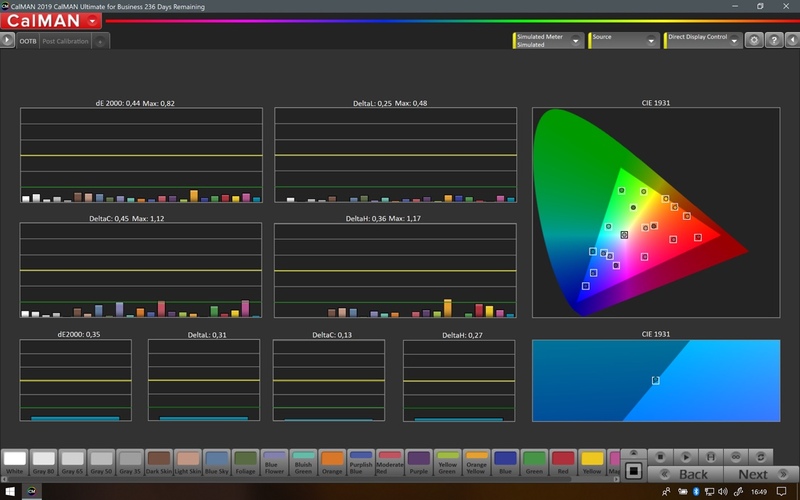 As you can see on the left bottom corner on my Chromasurf Screenshot it's in the NIST tolerance. fafrd, T( )( )L, ConnecTEDDD and 3 others like this. Can someone tell me how to get the latest beta? I got the latest beta from Ted , thanks Ted ! Last edited by chunon; Yesterday at 01:33 AM.